Gunn intramuscular stimulation jobs are available internationally. Find detailed description of job requirements, prerequisites, skills, and experience. A Full-Time Physical Therapist position is available at Cedar Hill Sports Therapy Clinic. Our busy, well established, multi-disciplinary clinic has been operating in Victoria, BC, for over 30 years, with a focus on manual therapy and one-on-one treatment. Clientele are extremely motivated and active. This position offers an excellent opportunity to work with a multi-disciplinary team which includes FCAMPT Physical Therapists certified in CGIMS and Medical Acupuncture, Chiropractor and Certified Pedorthist. Mentorship with FCAMPT Physical Therapists is available. The Clinic is a beautiful facility with natural light and is located in a Professional Centre building in a busy shopping village with retail stores, coffee shops, restaurants and a grocery store. Please forward your application in confidence to Michael Coey. CSA Physiotherapy has recently joined Lifemark, and is adding to our team! We are seeking a skilled physiotherapist that is well versed in IMS, vestibular rehabilitation, concussion rehabilitation and the treatment of complex conditions. We are looking for approximately 20 hours per week to start. Our St. Albert clinic was established more than 30 years ago and offers a variety of specialty services from some of the best clinicians in St. Albert. Services include physiotherapy, massage therapy, acupuncture, and ultrasound-guided regenerative medicine. We would love to share more with you about this position and team! Performing clinical assessments and implementing treatment plans for clients with a focus on vestibular rehab and treatment of longstanding pain. CSA Physiotherapy has recently joined Lifemark, and is adding to our team! We are seeking a skilled physiotherapist that is well versed in IMS, vestibular rehabilitation, concussion rehabilitation and the treatment of complex conditions. This is a full time permanent role for a senior therapist. There is an opportunity for a manual therapist to join our team in Victoria, British Columbia. IMS, Acupuncture or Dry Needling training is required. Please call us today to book an introduction and tour our facilities. Our award-winning, multidisciplinary Physiotherapist owned clinic requires a positive & motivated Physiotherapist to join our team to help meet high patient demand. This is the perfect opportunity to join an existing, thriving practice with an immediate patient-client base. We currently operate four locations in Tri-Cities area. Our clinics have been successfully established for over 21 years and are highly recognized and supported by local physicians and other health professionals. We have an established relationship with Physicians, Lawyers, ICBC and Worksafe. We have won numerous awards and recognitions including nominee & finalist for Chamber of Commerce Business of the Year, as well as Business Leader of the Year (multiple years); Tri-Cities A-List winner in multiple categories (multiple years); and Port Coquitlam Best Biz Award & People's Choice finalist. If you wish to practice in a clinic that promotes best practices and success for everyone involved, in an aesthetically pleasing, personal and professional environment, please enquire with resume / CV at alliedcoasttherapy@gmail.com. We can provide mentorship and supervision if desired. Successful applicants with valuable credentials such as CGIMS, FCAMT or equivalent including sub-specialties such as MLD, Vestibular or Pelvic Floor can expect higher than average remuneration. We offer a commissioned employee position based on the percentage of billings or hourly wage in range 38-60$ based on experience and credentials. Relocation allowance and start-up bonus would be considered for the right applicant. Editorial reviewer required for the purpose of assessing submitted papers, case reports in relation to topics involving intramuscular stimulation for publication, collaboration, and distribution. Research, medical reports and article writing has been ongoing since 1967 and continues to incite public and scholarly interest. iSTOP is a non-profit organization dedicated to the understanding and treatment of soft tissue pain and related conditions, and supports educators and practitioners of GunnIMS worldwide. With the support of its subscription member base, iSTOP provides funding for research, fosters career path development, knowledge growth, public awareness and education. Early diagnosis and appropriate treatment of neuropathic dysfunction and pain is experiencing certain industry success and is our immediate focus. 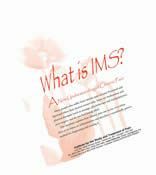 Promoting the study and science of IMS into the future possibilities is our long term commitment: To elevate GunnIMS beyond a perceived industry distinction is our objective. 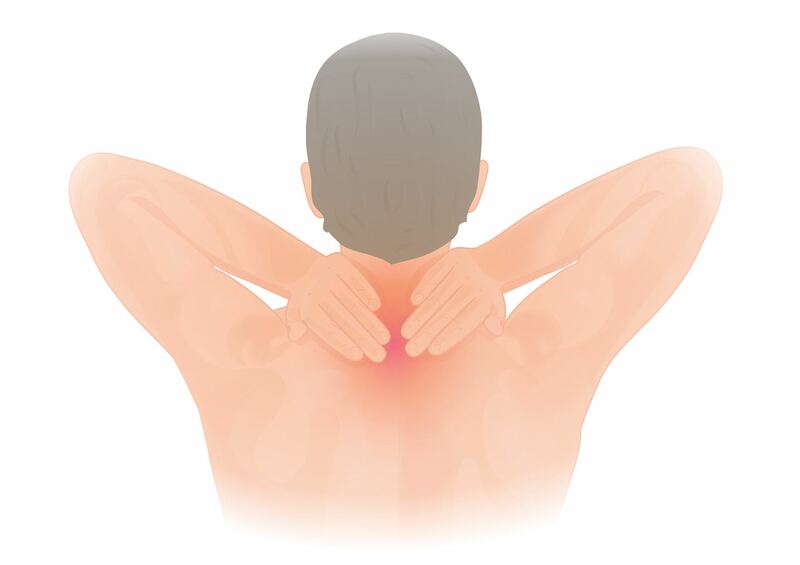 Intramuscular Stimulation (IMS) is a total system for the diagnosis and treatment of neuromusculoskeletal pain syndromes and neuropathic dysfunction in the peripheral nervous system. 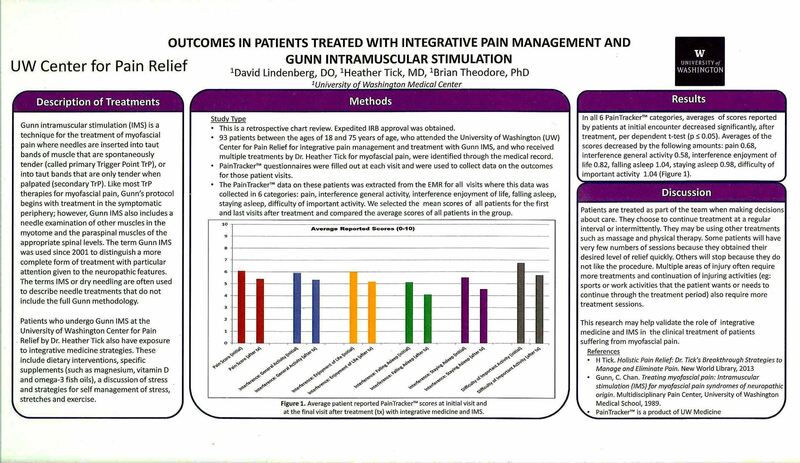 Teaching and research of GunnIMS has been conducted at the University of British Columbia since 2013. iSTOP continues to support UBC’s stated initiatives: to fund, facilitate, develop, implement, and promote activities, facilities, and programs which will foster the education of physicians and physiotherapists, using the GUNN IMS technique as developed by its founder, Dr. Chan Gunn. 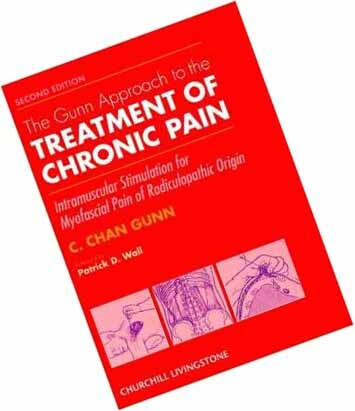 Editorial support to researchers, practitioner testimonials and scholarly works related to the Gunn modality of treatment in intramuscular stimulation. Literary review of case / field study, abstracts, medical papers, reports which are submitted to iSTOP for assessment from international sources. Language: English, multilingual interest an asset but not required. This is an outreach inquiry for a non-paid volunteer role to support the furtherance of interest and support of the study of GunnIMS. No remuneration is offered at this time; however possibility exists for future re-evaluation for paid employment based on successful candidate(s) participation. Future remuneration would be based on candidate qualifications, experience and participatory commitment, and would meet with generally accepted industry pay scale expectation. This is a career development opportunity. We feel that the enrichment to your knowledge base in the medical sciences and research will enhance your professional profile. Joining our team at iSTOP as a supporting editor(s) on a volunteer basis will be a fulfilling and rewarding experience. Progressive Rehab is seeking a dynamic and motivated full-time physiotherapist to join our established private practice in Mississauga. We are a physiotherapist owned and operated company that offers physiotherapy, chiropractic, massage therapy, acupuncture and orthotics services at our clinics located in Mississauga and Brampton. We are passionate about providing exceptional rehabilitation care to our loyal clients with a treatment focus on manual therapy and specific exercise prescription. One of our physios is moving out of town and as a result we have a full caseload waiting to be taken over. A signing / relocation bonus is available. Broadmead Orthopaedic Physiotherapy Clinic has a rare opportunity to join an amazing team. We are a busy, highly respected manual therapy clinic looking for the right person to join our team full time. We offer a positive, warm work environment, education allowance and free mentorship with an FCAMPT. This position comes with exceptional earning potential given the busyness of the clinic and a SIGNING BONUS. Manual therapy is a must and IMS is a definite asset. It would be a fantastic opportunity for a pelvic floor therapist, vestibular therapist or other specialization. Our clinic hours are 7am - 7pm , Monday to Friday. Our modern office is located in the Broadmead Office Park on Chatterton Way. All applications will be kept in confidence. CHANGEpain, an interdisciplinary Pain Clinic, is looking to grow our Physiotherapy team. We are a unique clinic given our mixed medical and allied health services. We take a patient-centred, evidence informed approach to pain management and offer an exceptional work environment. Currently we are accepting applications for a part time position with potential to develop a full time practice. CBI Health Centre - Railway in Abbotsford is looking for a mature and experienced therapist to join our amazing team. Come to the affordable and ever expanding Fraser Valley where you can work with FCAMT (Grey Bay – Inventor of CORESHORTS™ and Todd McGladdery) and RCAMT (Jennifer Bay, Luke McKerrow, and Chris Zwicker) therapists, as well as Gunn Certified IMS therapists (Todd and Jen). Our clinic is located in the Fraser Valley, only one hour from Vancouver. Our city offers affordable living, year round outdoor adventures, and close proximity to the USA. We are proud to be positioned in a city where housing affordability is notable – current MLS stats indicate that Abbotsford has an average house price of $600K in comparison to $1.2M in Vancouver. There are many recreational activities to be had – skiing at Manning Park, Baker, Hemlock, Sun Peaks, and the interior mountains, kayaking and fishing on the Chilliwack and Vedder rivers, mountain biking, hiking, and running trails galore around Sumas Mountain and Cultas Lake. These are just some of the amazing outdoor activities in the neck of our woods! CBI Health Group is a privately owned leading Canadian healthcare services and management company dedicated to providing an integrated approach to health management. Voted one of Canada’s 50 Best Managed Companies and Canada’s Top 10 Most Admired Corporate Culture Award, we provide a dynamic, well-supported work environment where you can really make a difference in the lives of your patients and community! Empower Physiotherapy is looking for a dynamic physiotherapist to join our busy one-to-one practice in Steveston Village. Further your career with a company that values excellence, positivity and has a client-centered approach. Join a team of passionate professionals who empower the community to keep moving and remain engaged in meaningful activities. Interested applicants please send a cover letter and resume with subject “Associate Application” in consideration for an interview. Broadmead Orthopaedic Physiotherapy Clinic has an exciting opportunity to join an amazing team. We are a busy, highly respected manual therapy clinic looking for a full time physiotherapist. Manual therapy experience is a must and IMS is a definite asset. Our clinic hours are 7am - 7pm, Monday to Friday. Our modern office (completely renovated in 2014) is located in the Broadmead Office Park on Chatterton Way. To learn more about our clinic and team, please visit our website. We are looking for an enthusiastic, dedicated, professional and experienced physiotherapist with great people skills to join our established multi-disciplinary rehab team. The clinic is physiotherapist-owned and we strive to provide excellent services with genuine care to our patients. The candidate should have extensive experience in treating outpatient orthopedic population. The candidate must also have comprehensive skills in acupuncture and dry needling (GunnIMS) Training in manual therapy will also be great asset. The candidate must be registered with the College of Physiotherapist of Ontario for independent practice and have professional liability insurance. We offer 60 min assessment and 30 min treatment with mixed caseload of private and MVA patients. The part time position will consist of 2-3 days per week with potential of growth of the caseload. Please visit the clinic website for more information. Please send us your cover letter and resume. Movement Sports Clinic is looking for an experienced physiotherapist to complement and expand the scope of our team. Our practice currently offers orthopaedic and sport physiotherapy as well as therapeutic massage therapy. The ideal candidate will have advanced practice experience with pelvic floor, concussion or vestibular rehabilitation. Assets are advanced practice orthopaedic and/or sport physiotherapist credentials with manual therapy and Gunn IMS qualifications. Our independently owned clinic is located in the downtown Calgary core adjacent to the Calgary Tower. Clients include Olympians, competitive youth and masters athletes and anyone that wants to live well and move better. Movement’s mission is to provide excellent, innovative and effective care. Our workplace is respectful, compassionate and the team is dedicated to ongoing improvement in skills and knowledge. We value reaching out to the active Calgary community to provide physiotherapy / massage support, education and inspiration.